After attending Project Ethos for the first time last Fall, I already knew I wanted to go again and was looking forward to the next one. 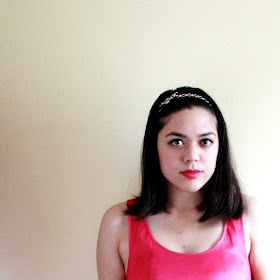 It was the first show I got to attend as press, and even though I was just representing my blog, it was a big deal to me because I didn't think that blogging could lead to things like fashion shows and red carpet events! 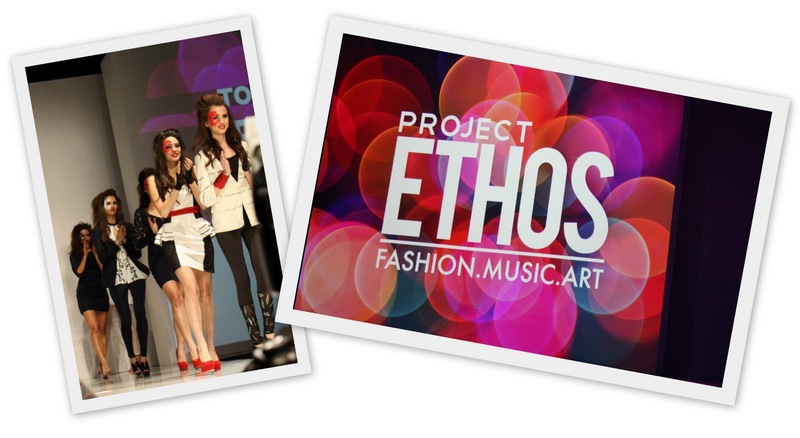 What I like about Project Ethos is that it has more than just fashion--it has music and art too! The runway shows always feature extremely talented up-and-coming designers, all of which have a distinctive point-of-view. Plus, it's open to the public and held at the Avalon in Hollywood (so be sure to join me next time!). There's a lot of energy and excitement buzzing through the air. I remembered seeing Cardiwrap at Project Ethos last fall. I was impressed with how versatile the Cardiwrap was and could see a lot of different types of girls wearing pieces from the line. The Cardiwrap is something that can be dressed up or down and worn in an infinite amount of styles (it can be worn over 50 ways!). Recessionistas (and fashionistas! ), take note. Melissa Velia was definitely the showstopper for the night. 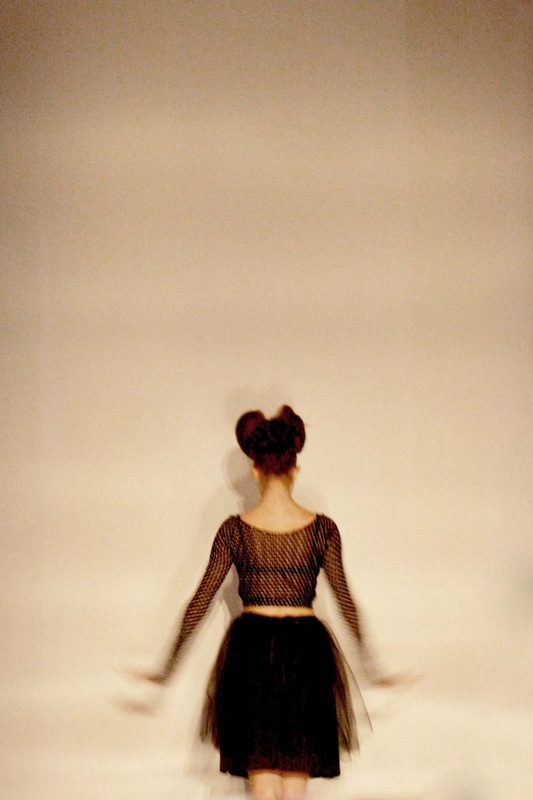 Her runway show opened with a goth ballerina performing a delicate solo performance in black toe-shoes to a song I immediately recognized from the Nightmare Before Christmas soundtrack: the instrumental version of Sally's Song. Being a huge Tim Burton fan myself, I was immediately drawn to the creepy/pretty aesthetic (and did you see those hair fascinators?? So cool!). Although the collection seemed to be dark, it wasn't at all vampire-esque or costume-y like I feared--there were a lot of wearable pieces! It was easily my favorite of the night. Reneta J's designs were feminine and funky, with tailored jackets and dresses. I loved the little details, like bows, buttons, and flowers. The hair and makeup were very well-done, too. The brightly colored lace cutouts framing the eyes were absolute genius! The Age of Aquarius line consisted of sophisticated loungewear separates and casual jackets. Though there were a few monochromatic velour tracksuits and outfits, they're not to be confused with your typical matchy-matchy Juicy sweats. These had a little more edge and would appeal to lots of girls. Plus, the line is environmentally friendly! Dominique Ansari's line was all about the draped knitwear. Super comfy and flattering, the dresses were a fresh update on the traditional knits you see in stores. It was very "deconstructed yoga goddess". I appreciated all the work that went into the draping, and you can really see how complex the detailing is in the closeups. Seth Aaron, Project Runway alum, headlined with menswear-inspired pieces. Very sophisticated, flirty, and edgy, I coveted almost every single look--the shoes especially. Some of the girls had these amazing chunky platform wedges that tied around the ankles with wide ribbons. I wish I had my own pair! Also, I'm kind of in love with the purple dress. It just screams "Batgirl Ballerina" to me. If I were a superhero, I'd wear that--heck, I'd wear it right now! And if the name "Batgirl Ballerina" isn't taken, well, I'll take that too. A HUGE thanks to Nicky Bernal and Project Ethos! It's one of my favorite events to attend. Tons more photos will be posted on Facebook very soon!